It’s funny how things change. I always used to say I disliked Gucci, I never liked their monogram print, I thought they were old fashioned, but then they got a new designer and all of a sudden they are re-branded and are the brand of the year last year, with everyone coveting their pieces and going nuts for them! It was an insane 2018 for them with their belts, bags, and shoes, as well as their hoodys and famous slogan t-shirts, so 2019 is going to be just as big. 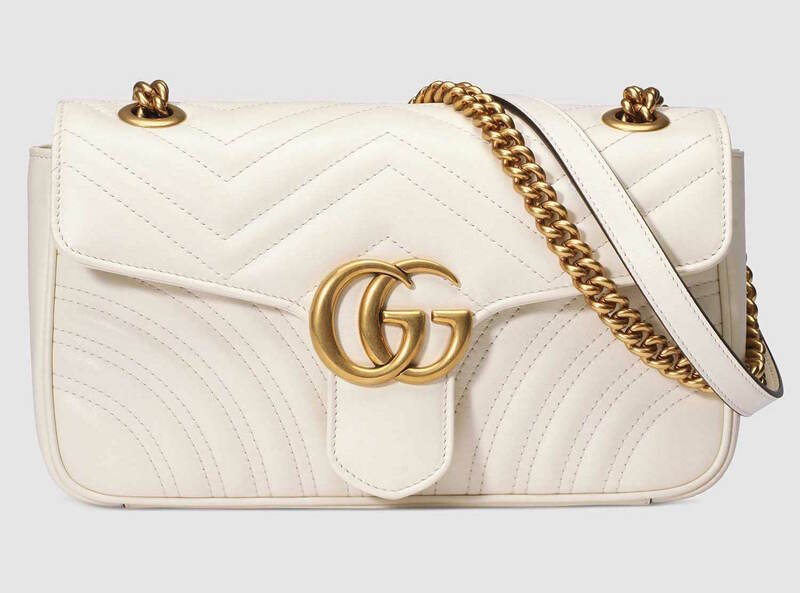 I’ve compiled a list of the 12 must have, best Gucci bags for 2019 so you can keep up to date and be on trend! 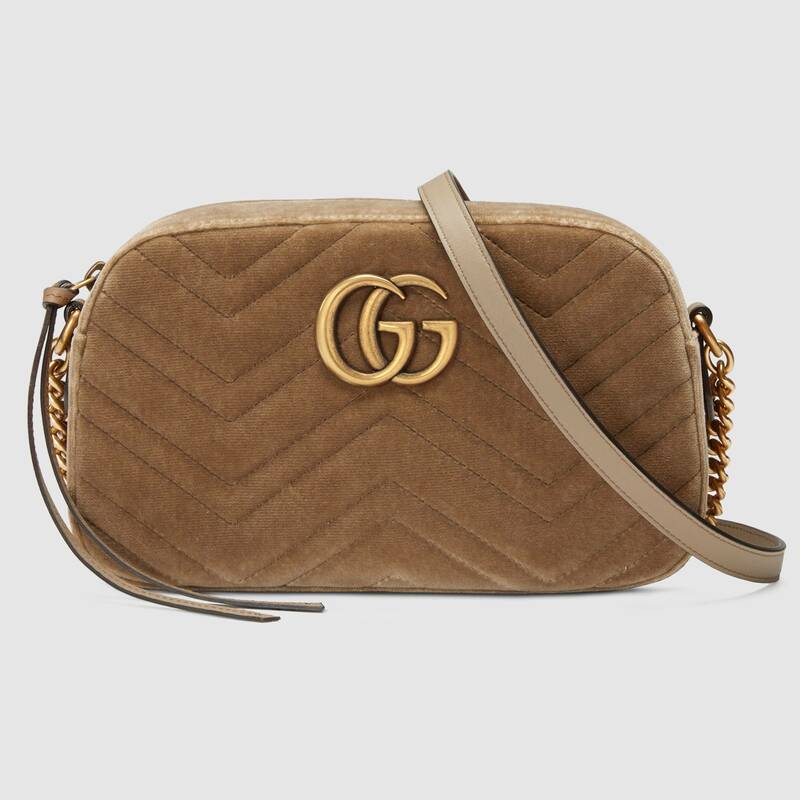 I already own the Gucci Dionysus Mini Taupe Suede Bag and the Gucci GG Marmont Black Velvet Belt Bag, which I absolutely adore, but there’s always room for more right? My first venture into the brand was actually my Gucci Double GG Leather Belt and since then, I’ve ended up acquiring the Princetown Slippers as well… I just can’t get enough! I am yet to own one of their clothing pieces because I find the price too expensive for something you’d only wear a few times, so I will mostly only save up and spend my money on their bags and shoes, as you can wear them forever and get your money’s worth. With that in mind, check out my top choices below! *Updated as of 29th January 2019. This one is my absolute favourite! 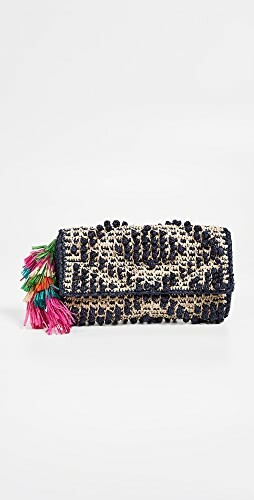 It’s very similar to my belt bag, but the cross-body version and it’s gorgeous. It’s what I’m saving up for this year, so I can’t recommend it enough! 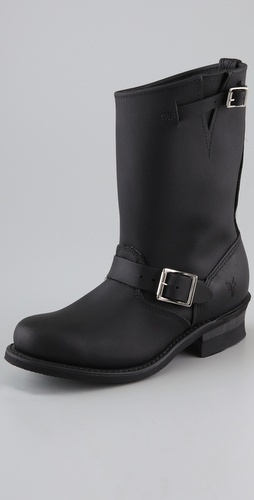 It comes in about 6 different colours and 3 different sizes, but the black mini is the one for me! This design was brought back from the 1970s archives, using the Double G hardware in a large and bold way for a new line of shoulder bags. The oversized logo features on the exaggerated flap closure of the small shoulder bag, in various colours. It has a vintage feel even though it was first presented in the Cruise 2019 collection, so I think you can’t go wrong with it! It’s lining the shop windows of Gucci everywhere I go in London! 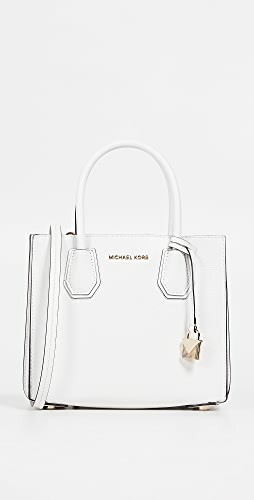 This is one of the brand’s newer bags and it’s simply gorgeous! If you love insects or know anyone that studies them, this bag pays a homage to that. I love the addition of the bamboo handle as it’s really unique, but if it was me choosing, I’d pick one that was full leather and didn’t contain anything exotic. Hopefully it’s not real, so if that bothers you (like it does me), skip right onto the next. 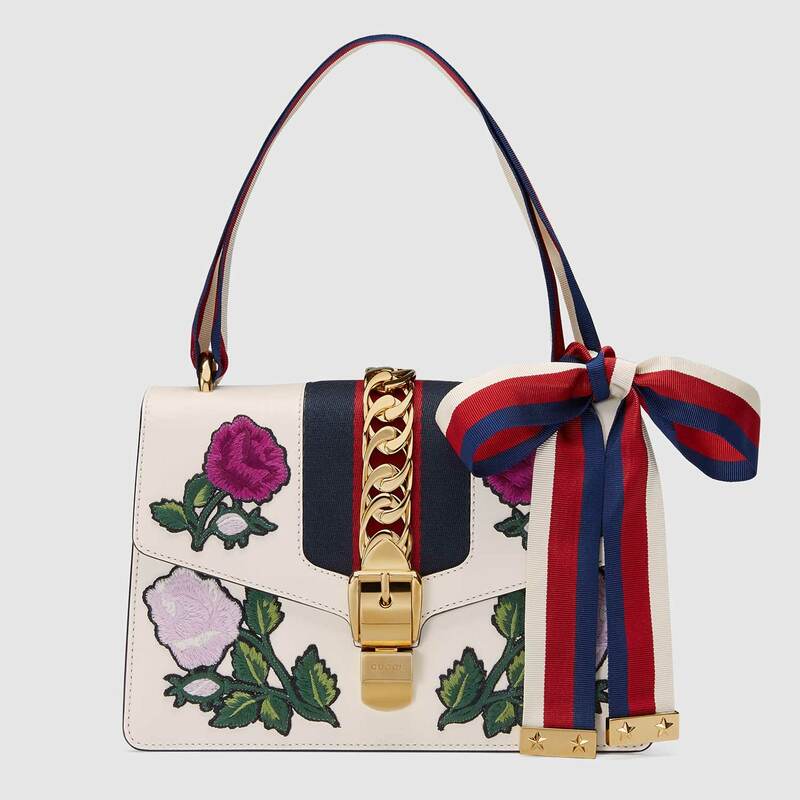 Now this bag is their latest design and with the trends on the catwalk gearing towards big totes, shoppers, and bowling style bags, I can see why Gucci were inspired with this version. It reminds me of a Mary Poppins bag, and I love the red shade! Now how cute is this? For Cruise 2019, the famous and historical Flora pattern designed by Vittorio Accornero over 50 years ago (how amazing is that?) is given a more modern look, with bright colours. 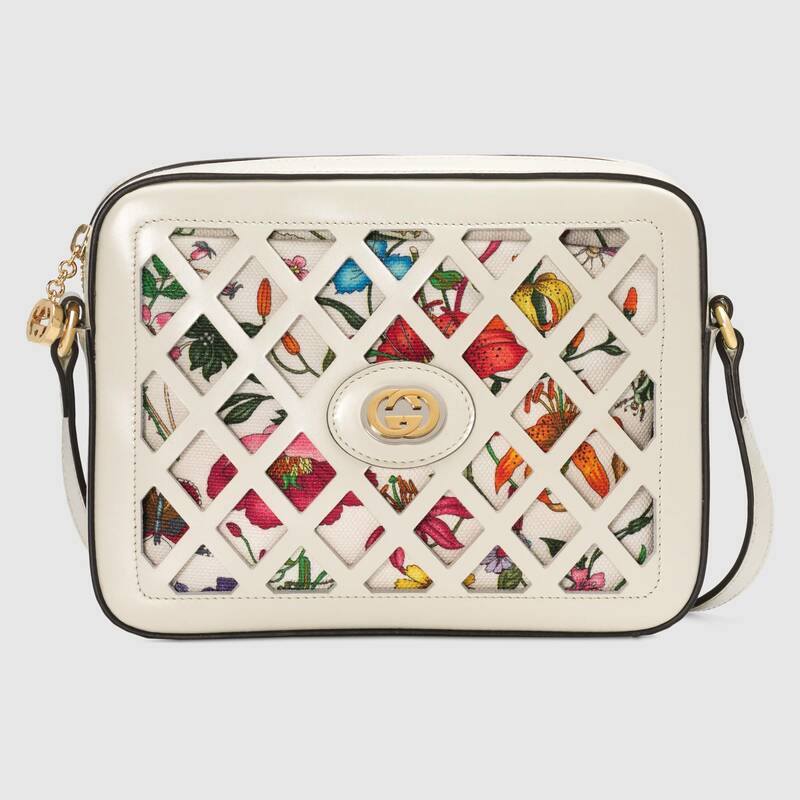 The floral motif peeks through a cutout leather overlay bag, which also has interlocking GG’s on it, to show that’s it’s Gucci. The coolest thing about this bag though is the fact that you can remove the floral pouch inside so it’s two bags in one! Just like my mini version that I got a year ago, this is the larger bag and it’s stayed in stock all that time, so it’s now a classic. The Dionysus is one of the brand’s famous and iconic styles, so it’s something you should definitely have in your collection if you like Gucci. A taupe or black shade is ideal, so check this one out too as it’s still trending for 2019! 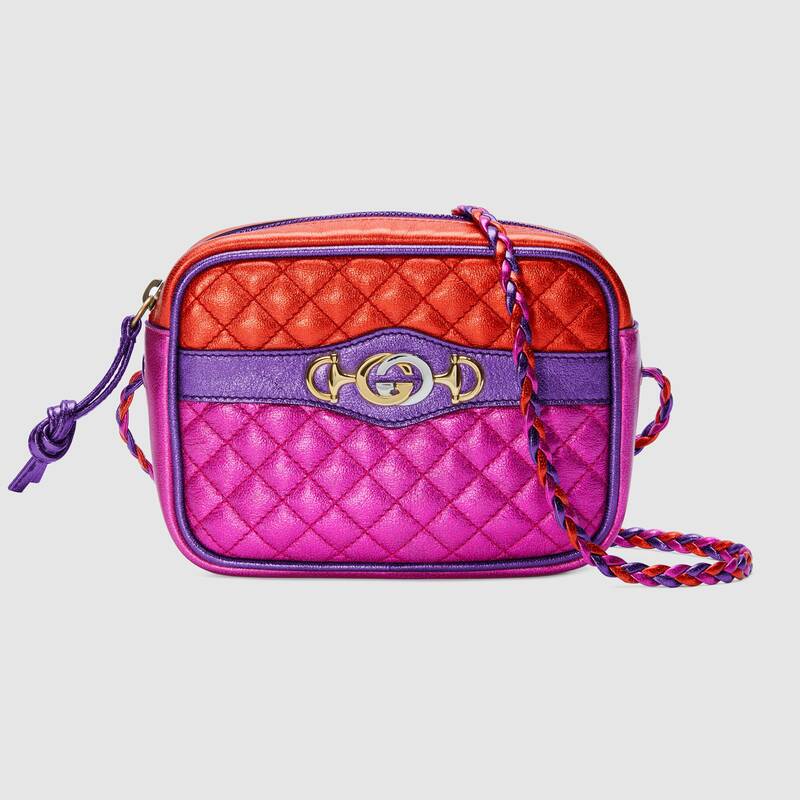 Gucci are continuing to bring archival icons into their latest collection in such a fun and youthful way. You might have noticed the interlocking G Horsebit which merges two of their most distinctive codes into one symbol as I’ve been seeing this on their belts too, but this time it’s on a multicoloured metallic matelassé leather bag. I love it! 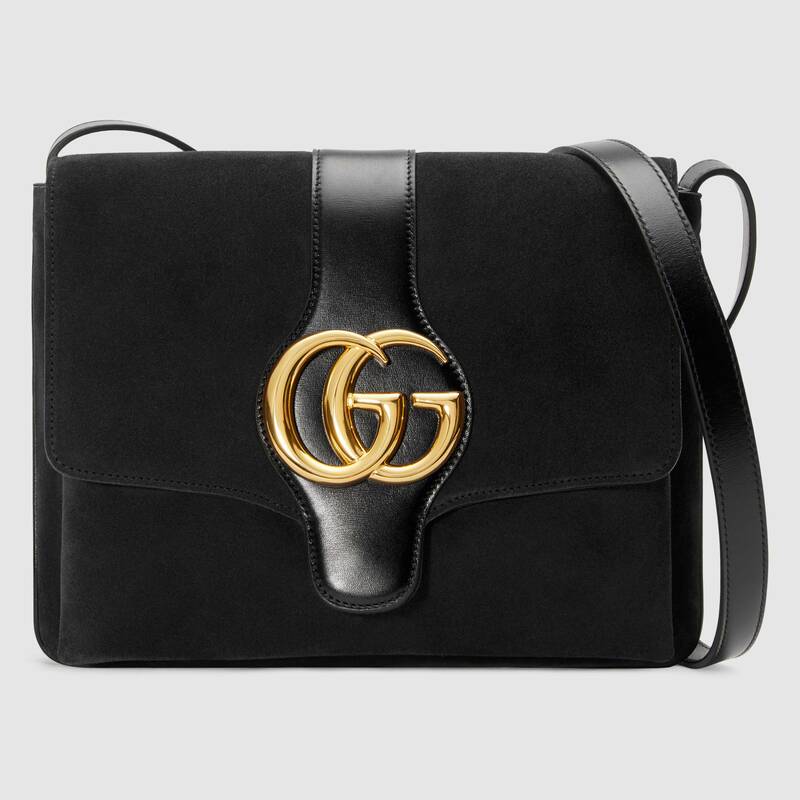 Just like the black velvet version above, Gucci also do the Marmont Matelasse in leather, which comes in so many different shades! 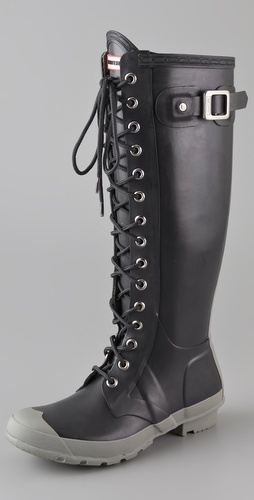 If velvet isn’t for you and you want something a little more robust and wearable, I would say go for the leather! I did see a video review comparison on YouTube which showed the difference between the fabrics with the pros and cons, so check that out below if you love this design but aren’t sure which material to pick. Sylvie has been on my want list for about 8 months now. It’s no secret that I love embroidery, you only need to look at my clothes to see that, and now all the high street shops are embroidery crazy too. Why not go for the original and choose this iconic bag? How fun and elegant is it? It’s the perfect blend of style, femininity and uniqueness. Much like the burgundy smaller version above, the 1970s archives are back! Designed with double gussets and an exaggerated flap, this beautiful black leather and suede medium sized shoulder bag is everything that encompasses a classic. It has a vintage feel to it, but in a modern way. A great update on the classic GG Marmont for 2019. 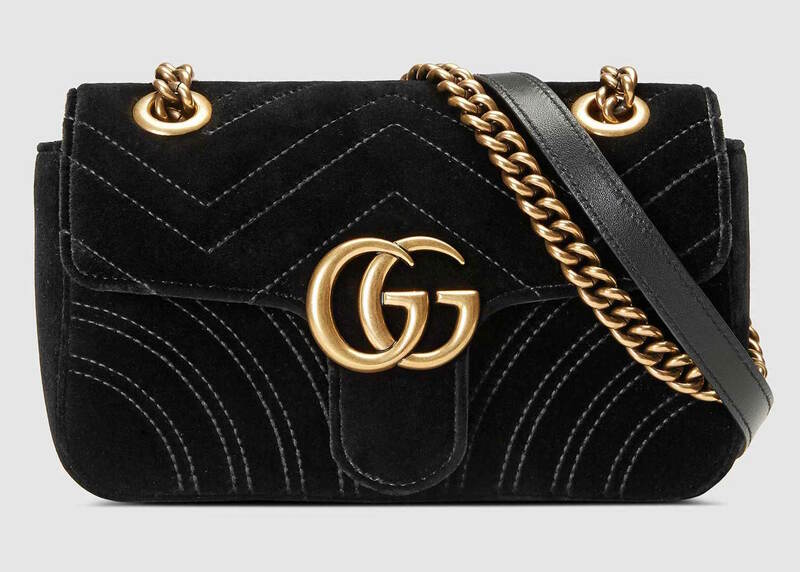 This is a new introduction to the GG Marmont line for Cruise 2019 – a mini bag! 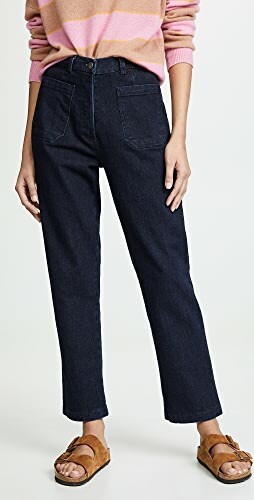 Designed with a rectangular, tall shape with a chain shoulder strap, updating the classic wider versions. Of course it’s made in matelassé leather finished with a vintage effect, just like the other styles, but I like the height of this one instead as it’s more unique. 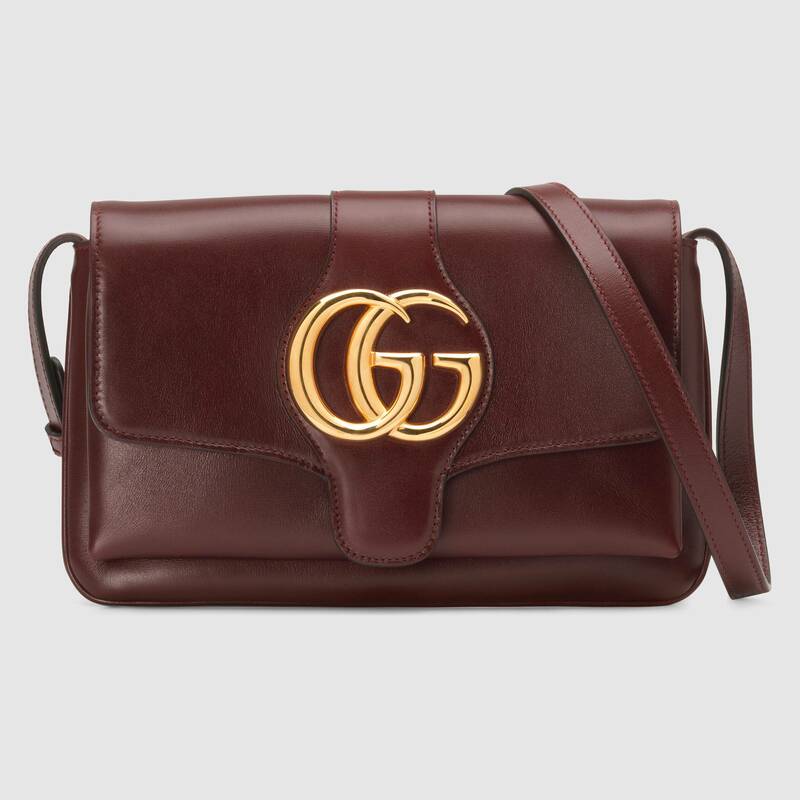 Finally, the small GG Marmont chain shoulder bag has a zip top closure in this beautiful brown velvet, with a rounded design and the classic Double G hardware. 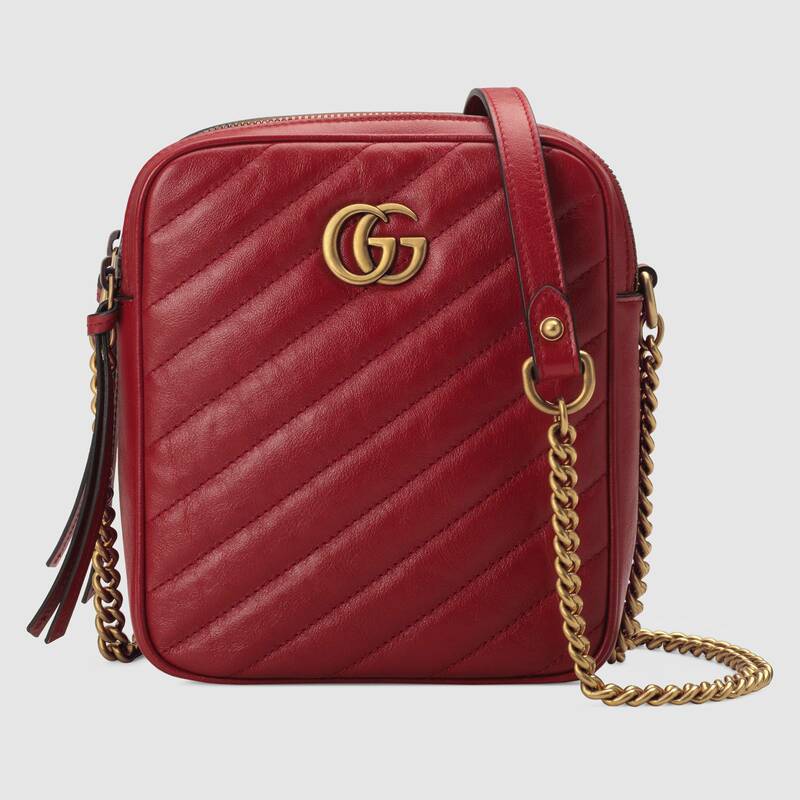 The chain shoulder strap has a leather shoulder detail, while the bag itself is in embroidered chevron velvet. 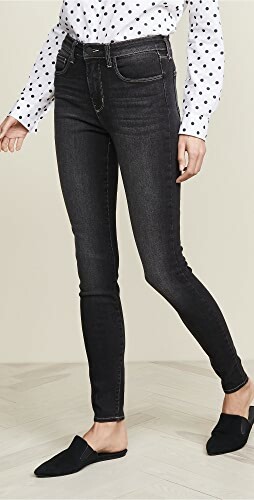 So versatile and easy to wear in my opinion! – What do you think of my selection of 12 bags? Which is your favourite? I didn’t like the old Gucci bags either. I grew out of the print and wanted something more classic. When the new designs came out, I was besides myself because I literally fell in love immediately. I definitely am saving up for a Gucci bag in the future – either the Marmont or Matellasse – until then I am drooling over these pictures you posted!!! I hope you are having a great weekend! Yes! I’m so glad you agree, Maureen! They really have changed so much, and for the better! Love all of these beautiful bags! 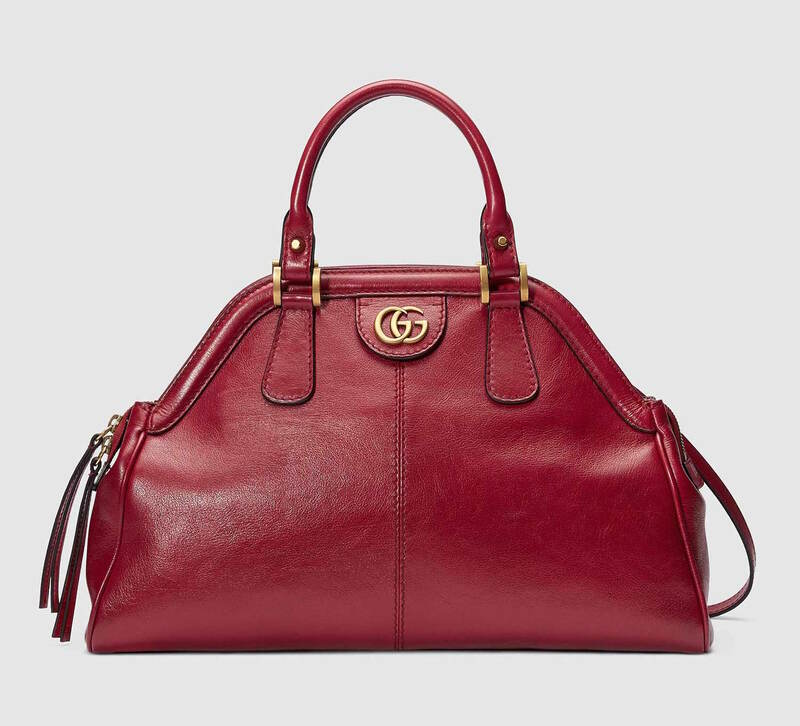 Love the red Gucci tote. Love the size and color. Ohhhh girl, these are beautiful. You know I love Gucci and have been collecting pieces for years and years. I really like the Marmont bags when I walk into a boutique. I think they are beautiful. I have a lot of pieces from their Soho line which has worn so well. I always travel with my Gucci soho duffel. It is actually a men’s bag but it is stunning and I throw one of my little disco bags inside it and off I go on vacation. Thanks for sharing these! Makes me want to shop! My bengal post should be live this week. I know you love them too! We’re extremely similar in our tastes I think! I can’t wait for your Bengal post. I just literally got my surprise in the mail and it might be Gucci, I’m sharing it to Instagram today! On the stories! 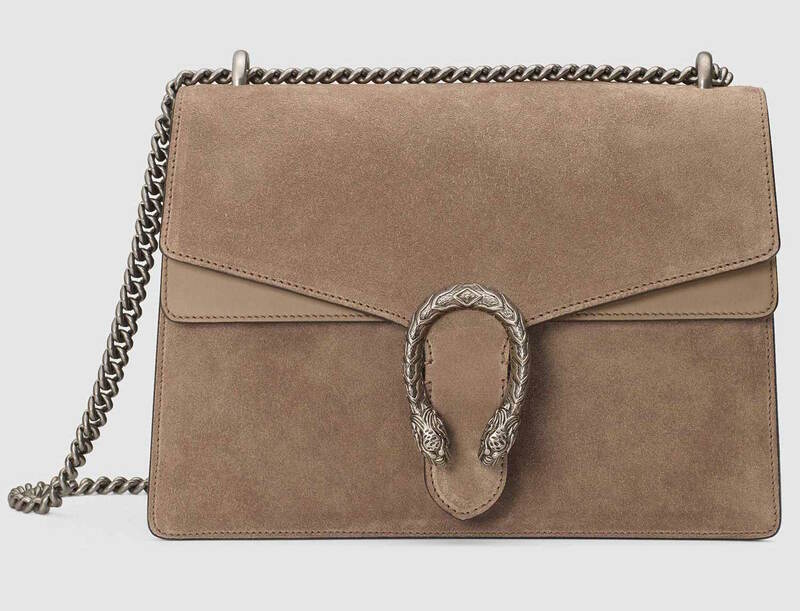 The marmont bag in velvet is such a beauty. I have had my eyes on it for as long as I can remember! It truly is a dream! That black purse is so classy. Ahhh Gucci heaven! 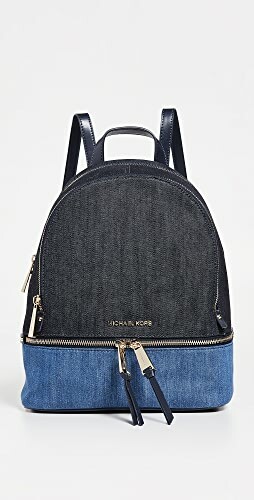 I absolutely adore so many of their latest bag releases, especially the velvet and/or embellished versions. Yeah, the velvet is amazing! I was quite tempted by the Gucci bags last year too, there are so many nice ones, as you’ve shared here. I haven’t got one yet, I decided to go for a LV scarf and a Rebecca Minkoff bag instead, but I do keep thinking about them! I’m sure the LV scarf is gorgeous! They do make nice ones 🙂 I do definitely recommend a Gucci bag though if you get chance! I love theses bags. I can’t tell which one is my favorite. Gucci is killing it lately- I am loving everything the design house releases! Oh my I could easily have one of each of these. I saw that red bag on a big time vloggers video, it is a REALLY nice bag. 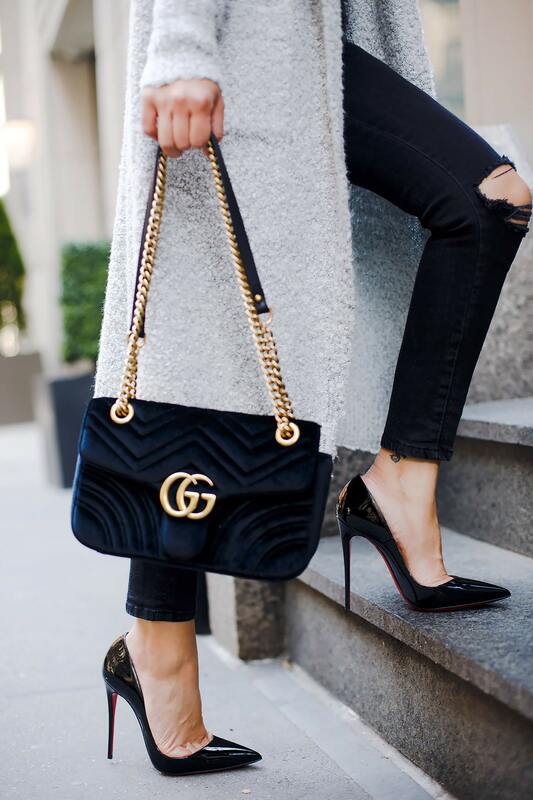 I love the classy black gucci bag because it goes with everything and for every season. 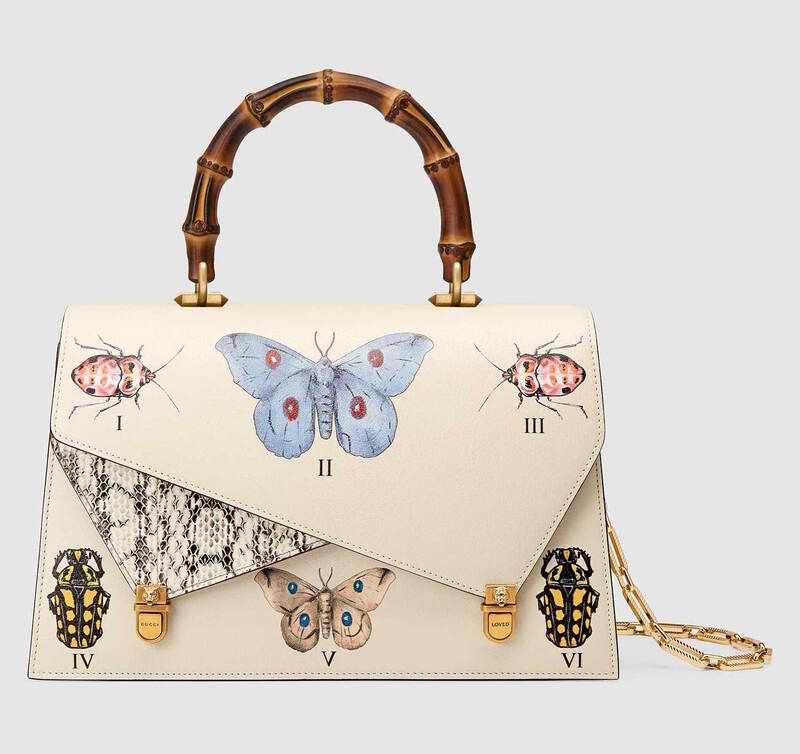 I love that gucci ottilai as I am a butterfly lover. I just adore that “GUCCY” bag. Not too many couture houses have a sense of humour, let alone one with which they can mock themselves. I thought it was cool too! 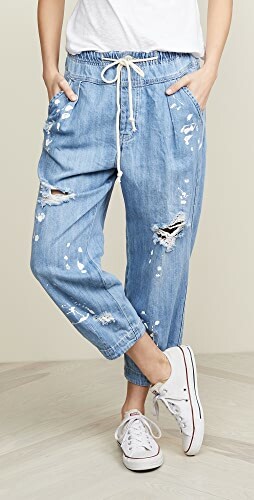 Almost like they can make fun, but still keep it stylish! hello gucci. love love love it! Thanks for sharing these. Have a great day! These are really fabulous bags dear. Personally, I love the classic black and gold strap. Whether it’s velvet of leather. Love the elegance and simplicity of that kind of style. Shop Fashion Jackets, Black Gowns, Leather Watches, Black Booties Shoes and more. Get this widget.